Helping your loved one make that transition from home into an assisted living facility is an important time in your family’s life. After making that all-important decision to move into assisted living in Olympia, WA, you will begin thinking about how to make that transition go as smoothly as possible. Here you will find some tips that many families have found especially helpful. Help get the room set up ahead of time. Bring in personal items from home that will help your loved one feel more at home. Of course you will want to include photos and mementos, decorative pillows, blankets, books, and other objects that make the room feel familiar. Next, be sure to discuss the personal preferences of your parent or loved one with the staff of the facility. Give them plenty of information about his or her daily routines, food preferences, communication style, and personal habits to ensure that the transition goes as smoothly as possible. You can provide a supply of the new resident’s favorite snack foods and drinks. Familiar food and drink is sure way to help someone in a new situation feel nurtured and comforted. You may want to bring in a CD player or ipod loaded with favorite songs. This is another way to create a soothing atmosphere in the new environment. Music also has the ability to create connections with other people in the new home. Many people enjoy sharing memories that are evoked by music. One more ways of preserving connections is to post a calendar in the new room with a schedule of family and friends’ visits and calls. This will help create predictability in your loved one’s life. Knowing when the next visit or call can be expected will increase his or her sense of security. When someone isn’t able to visit in person, find out if Skype sessions are a possiblity. These are just a few ideas that can help make a smooth transition into assisted living in Olympia, WA. 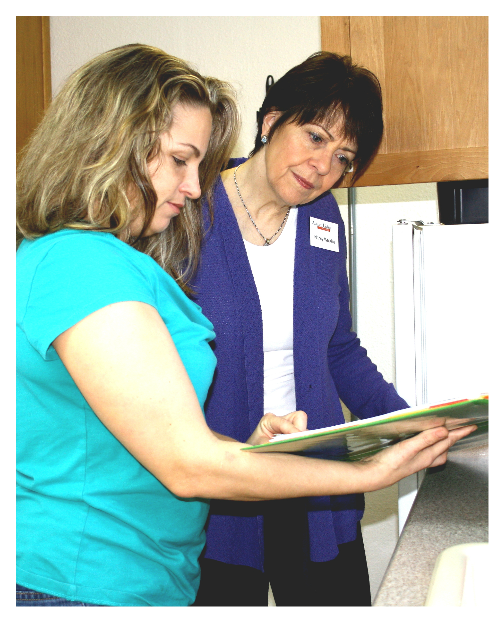 At Assisted Living Options we have the expertise to help guide you every step of the way in this new stage of life.